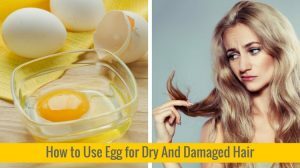 How to Use Egg for Dry And Damaged Hair? Dry hair is a common problem faced by men and women of all ages. It is caused when the hair strands don’t receive enough moisture or are unable to retain the moisture. Lack of moisture makes it appear rough, frizzy, dull and lifeless. Dry hair can be caused by a number of factors such as living in a dry climate, swimming in chlorinated water, using harsh shampoos and heated styling tools. Commercial shampoos and conditioners make the hair even more dry and frizzy. But natural ingredients like eggs are helpful in treating dry hair. Is Egg Good For Dry Hair? Eggs are a rich source of protein that helps to strengthen the hair follicles and prevents breakage associated with dry hair. Vitamin A present in egg yolk promotes sebum production in the scalp which helps to moisturize the scalp and hair. The healthy fatty acids present in egg yolk moisturize and rehydrate the dry hair, close the open cuticles and smoothen out rough and frizzy hair. The B-complex vitamins and vitamin E in egg yolk improve circulation and boost oxygen supply to the hair which rejuvenates dry and dull hair. How to Use Egg for Dry Hair? Here are few ways of using egg to treat dry, dull and frizzy hair. You can choose any one of them and try it regularly. Break 2 eggs in a bowl. Whisk it thoroughly to make it frothy. Wet your hair and scalp. Apply the whisked eggs all over your hair and scalp. Secure your hair in a bun and leave it on for 30 minutes to an hour. Rinse thoroughly with cool water followed by a mild shampoo. Repeat this procedure 2 to 3 times a week. Proteins present in yogurt help to nourish and strengthen the dry hair strands. It prevents them from breaking. Take 2 to 3 tablespoons of plain yogurt in a bowl and whisk it with a fork. Break an egg and add it to the yogurt. Mix thoroughly with a spoon. Apply this pack all over your hair and scalp. Put on a shower cap. Wait for an hour and then rinse your hair with cool water followed by a mild shampoo. Follow this process 2 times in a week. Mayonnaise is loaded with the goodness of egg yolks, amino acids and protein that promote the strength of hair. It also moisturizes the dry hair and smoothen rough hair strands. Take 2 to 3 tablespoons of mayonnaise in a bowl. Break an egg and add it to the mayonnaise. Whisk the ingredients using a fork. Apply this mixture all over your scalp and hair, covering from root to tip. Leave it on for an hour and then rinse with cool water followed by a mild shampoo. Repeat this remedy 1 to 2 times a week. Humectant property of honey attracts moisture from the environment and traps it in the hair shafts. It helps to hydrate the hair follicles and close the hair cuticles. Take 1/2 cup of raw organic honey. Break a couple of eggs and add it to the honey. Whisk it thoroughly with the help of a fork. Apply this mixture to your damp hair and scalp. Put on a shower cap and wait for an hour. Rinse your hair with cold water followed by a mild shampoo. The monounsaturated fatty acids present in avocado readily penetrate the hair cuticle and moisturize the hair strands from within. High levels of vitamins strengthen the hair at the cellular level and help to repair the dryness. Take a ripe avocado and cut it into two halves. Scrape out the pulp from inside the avocado and mash it with a fork. Break an egg and add it to the avocado pulp. Mix the ingredients using a spoon and apply this mixture all over your damp hair and scalp. Wash your hair with cold water and mild shampoo. Follow this procedure 3 to 4 times a week. High levels of potassium present in bananas help to rehydrate and moisturize dry hair strands. High moisture content in banana helps to soften the hair and improves its elasticity which in turn prevents breakage. Take an overripe banana and mash it with the help of a fork. Break an egg and add it to the mashed banana. Mix it thoroughly with the help of a spoon and apply this mask all over your wet hair. Leave it on for 30 to 40 minutes and then rinse with cold water and a mild shampoo. Coconut oil is loaded with fatty acids that readily penetrate the hair follicles and help to moisturize the hair strands. The fatty acids bind with the hair proteins and prevent breakage. Break an egg in a bowl and whisk it using a fork. Add 2 tablespoons of coconut oil to it and mix using a spoon. Apply this mixture all over your damp scalp and hair. Massage gently for 5 minutes. Wear a shower cap and wait for an hour. Follow this process 2 to 3 times a week. Lemon juice is a rich source of vitamin C that helps to strengthen the hair strands. Lemon juice promotes blood circulation to the scalp that helps to nourish and strengthen the hair follicles. Compound limonene present in lemon helps to rejuvenate dry and frizzy hair. Break a couple of eggs in a bowl and whisk it thoroughly using a fork. Add 2 tablespoons of fresh lemon juice to the whisked eggs and mix thoroughly with a spoon. Apply this mixture all over your damp hair and put on a shower cap. Leave it on for an hour and then wash your hair with cold water followed by a mild shampoo. The two types of protein – casein and whey present in milk help to nourish and strengthen the dry and damaged hair strands and promote hair growth. Break a couple of eggs in a bowl and whisk it using a spoon. Add 2 tablespoons of full-fat milk to the eggs and mix it with a spoon. Apply this mixture all over your wet scalp and hair and put on a shower cap. Wait for an hour and then rinse with cold water and a mild shampoo. Repeat this treatment 3 to 4 times a week. Olive oil is a rich source of vitamin E that heals the dry and damaged hair by sealing the hair cuticles. Vitamin A and antioxidants in olive oil protect the keratin in the hair strands and seal in moisture. Add 2 tablespoons of extra virgin olive oil to it and mix it using a spoon. Apply this mixture all over your damp hair and massage gently for 5 minutes. When using eggs for your remedies and treatments, make sure to use fresh eggs every time. Dampen your scalp and hair before applying these masks to your hair. Wet hair makes it easier to spread them. These egg hair packs can turn messy and drip from the head, so make sure to wear a shower cap after applying these packs. Use a mild organic shampoo to wash your hair after applying these treatments to get rid of the egg smell. Always use cold water to rinse your hair after applying these packs. Hot water curdles the eggs and makes it stick to the hair. You can add a few drops of essential oil to your egg hair packs to cover up the egg smell. Choose a hydrating shampoo containing moisturizing properties to wash your hair. Don’t forget to condition your hair after shampooing to prevent it from drying. Limit the use of blow driers and heated styling tools. Opt for hot oil massage at least 2 to 3 times a week to moisturize your hair and scalp. Avoid the use of chemical-laden hair products. Have you tried any of these remedies to treat dry hair? Then share your experience with us. Also, share your tips and remedies with us in the comments section. My hairs are so dry how can I get straighten smooth silky hairs. Dry hair states that the hair shafts have less – no moisture in it. We recommend trying any remedy mentioned above to retain the moisture content back into the hair shafts. Apart from that, you can perform oil massage 2 – 3 times in a week. Drink plenty of water. Cover the hair using a scarf to prevent the dryness and damage caused by pollution and sun. My hair is thick and heavy,its been always short because it has breaking. Pls how do i fix it to make it longer? For three years I am suffering from hair loss and I lost most of my hair.which remedy is best for me to prevent hair fall.please tell me.this is the first treatment for my hair.I have dry hair. Which one of these remedies is best for dried brittle hair from coloring it blonde?? 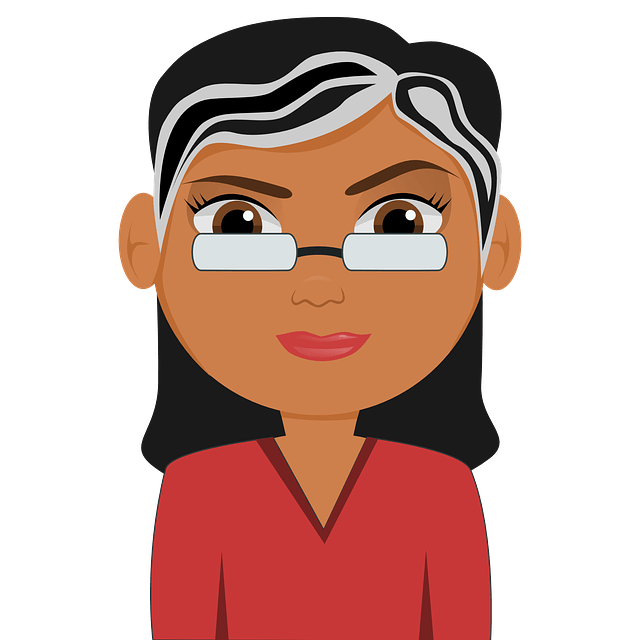 My hair is rough and damaged and I am facing hairfall problems. There are a lot of solutions, can you Suggest the one that my hair needs? I am confused after reading about so many options. I’ll be thankful to you. I’d surely like to try these solutions. Hi.. My hair gets dry even after conditioning. I like long hair but again split end problem, due to that my hair doesn’t grow.. Please suggest me some remedy..
my natural hair looks very rough.can any of these hair packs,make my hair look smooth? Take 1 egg white and 1 tablespoon each of olive oil and honey, mix until you have a smooth paste. Apply this paste on damp hair and scalp. Cover your head with a shower cap for about 30 minutes. Then wash your hair with a mild shampoo and cool water. My hair sooo dry and my hair too short… How should i prevent my hair from dryness and then how should i grow my hair longer and faster..
My hairs are totally damaged dry and full of split ends. Please help me. Once i used full egg for my hair mask, it made them even worse.